In the interest of supporting local and empowering the youth of this fair city (both of which we'll give a resounding shout for any day), we'd like to introduce to you Girls on the Run Utah. For those not yet acquainted, GOTR is a non-profit program that "offers the tools for young girls to be the future leaders in our community" through an "after-school, physical-activity-based program that inspires girls to be joyful, healthy, and confident, using a fun experience-based curriculum which creatively integrates running". Yes, yes, yes, y'all. The stellar program works with girls from 3rd-8th grade, and uses "running as a vehicle to influence positive social, cognitive, physical, and psychological development." 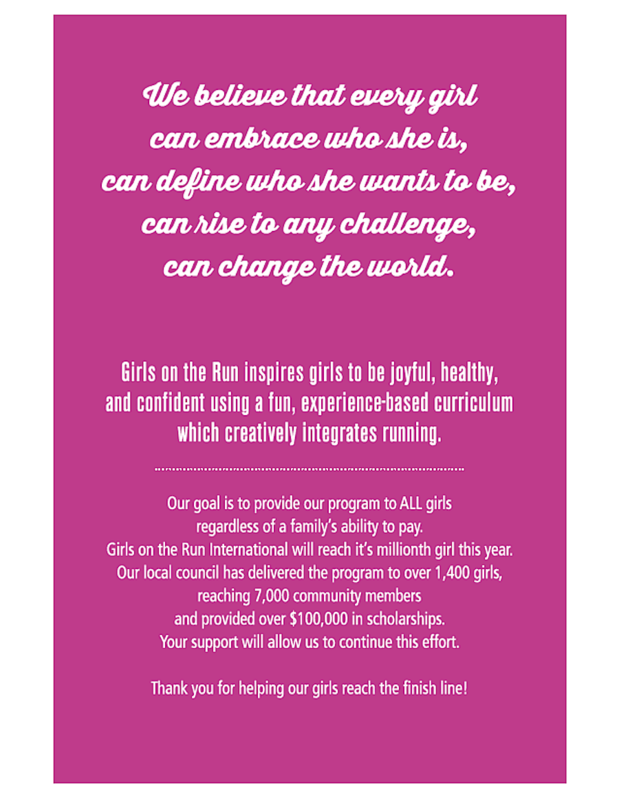 We happen to think it's a phenomenal cause, and we're not talkin' small potatoes--Girls on the Run International will reach its millionth girl this year, and Girls on the Run Utah reached 1,400 girls in 2015 alone. We think that's pretty damn commendable. According to Executive Director, Heidi Moreton, the volunteer-based program integrates 5k training with lessons that "improve self-awareness, build a collection of positive experiences, and inspire life-changing confidence through goal setting and accomplishment." Sounds like something we could all use a bit more of, yes? 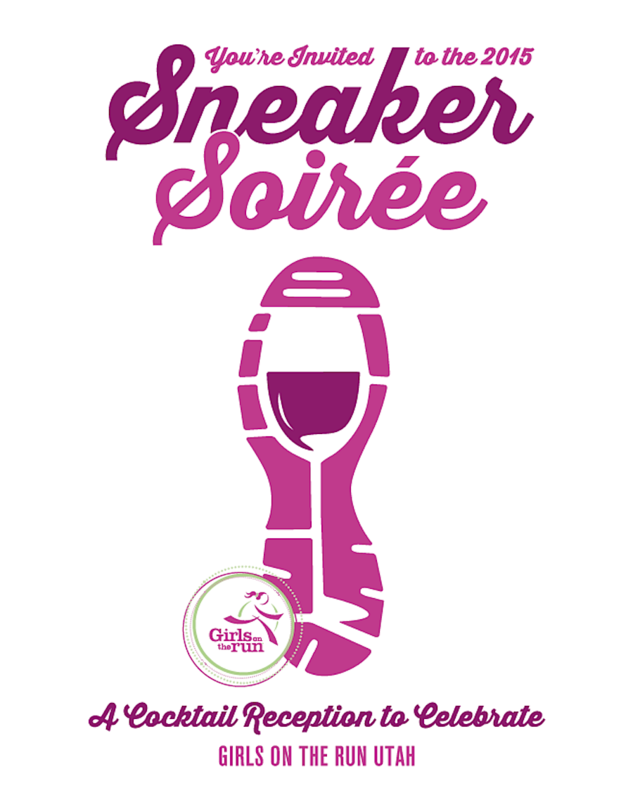 To raise funds for their cause, GOTR is holding their annual Sneaker Soiree (and, ahem, this is where you come in). 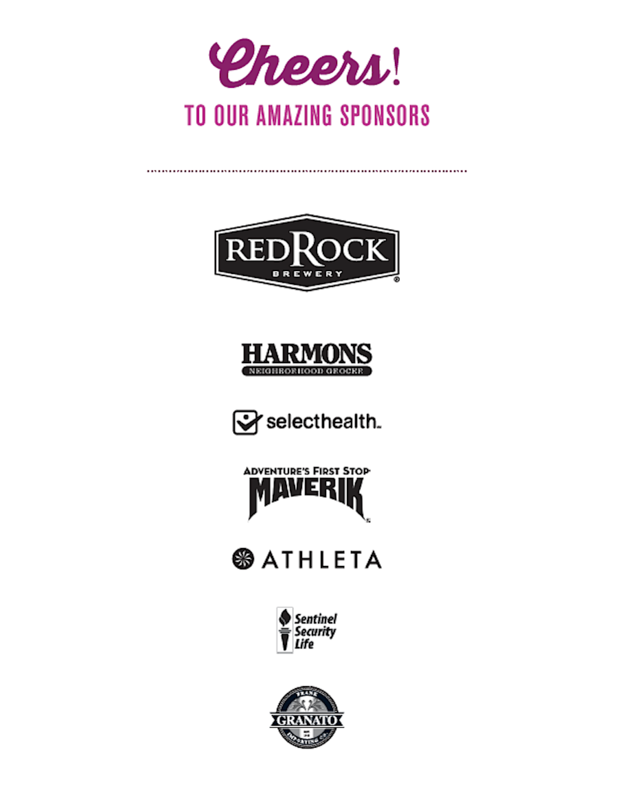 Hosted by a few fabulously generous sponsors (primarily the amazing folks at Red Rock Brewery), the fete will include food, drink, a drawing, and a silent auction--not to mention, it will allow the organization to continue their valiant efforts. 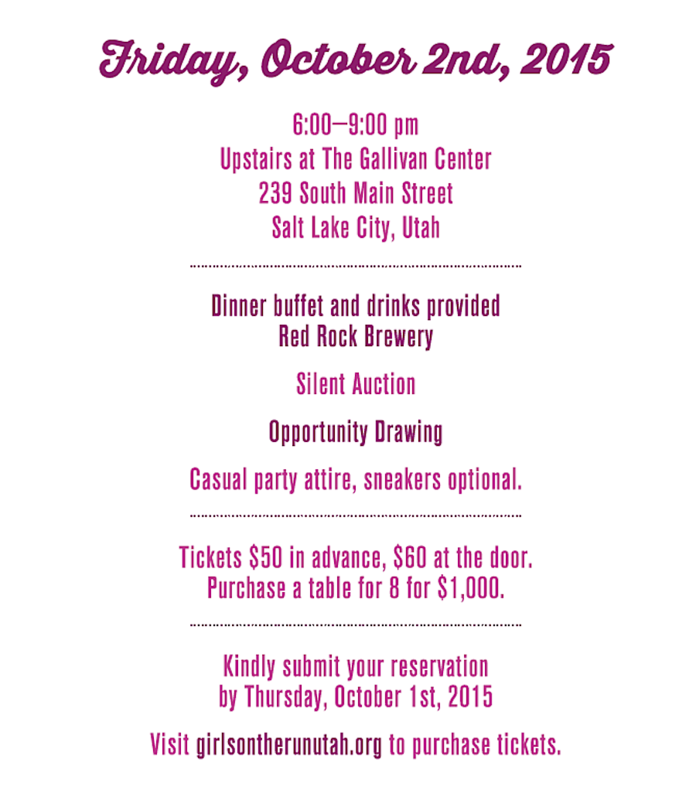 Lace up your best tennies and get to The Gallivan Center on October 2nd--let's help keep the good ones a-goin'.